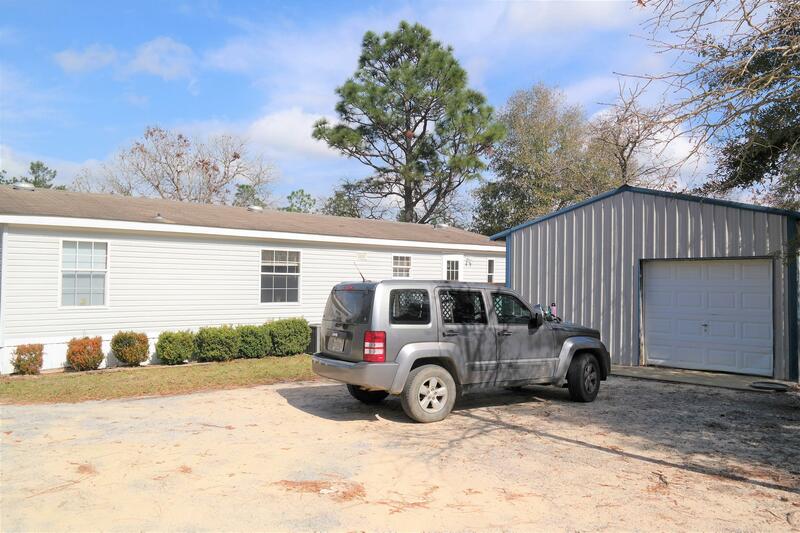 What a great place located in the Mossy Head area of Defuniak Springs! Home sits on apx. 1 acre, with road frontage on Tulip Ave and Crocus. There is a 20x20 shop; open decks on front and back; Covered RV parking; chicken house and fenced area for your pets. New HVAC installed in 2016 and currently under a maintenance contract through One Hour H&C. All appliances (including washer/dryer) included in sale! Walk in closets in all bedrooms. Master bath has garden tub, double vanities and separate shower. Also, wood burning fireplace, open floor plan, generous laundry room. Schedule your showing today!